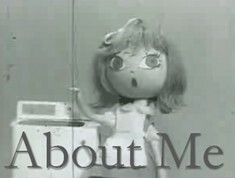 One of Japan's most prolific independent animation artists, Tomoyasu Murata (村田朋泰, b. 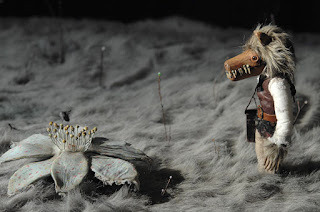 1974) has created breath-taking, boundary-breaking stop motion animated films over the last two decades. Initially inspired by the expressive power of traditional Japanese bunraku puppet theatre, Murata's films — at once tender, whimsical and mysterious — deal with themes of memory, absence and mujo (the Buddhist concept of impermanence) through the cinematic manipulation of his meticulously handcrafted puppets and fantastical miniature sets. 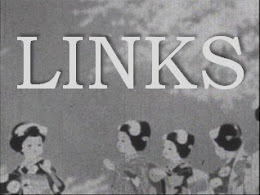 The eight short films in this program range from the artist's award-winning student work to recent projects that respond to the Great East Japan Earthquake. 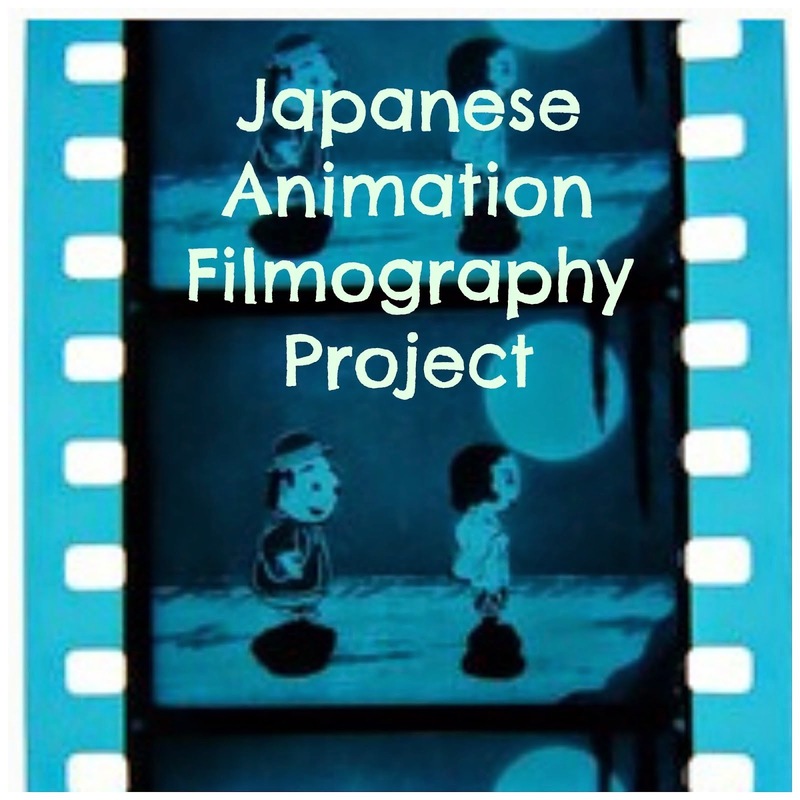 All films written, directed and animated by Tomoyasu Murata. In Murata’s award-winning thesis work, which mourns the loss of a loved one, an elderly man’s daily routine is interrupted by a rediscovered fragment of a precious memory. Part of Murata’s “Road” series, a sorrowful pianist on a journey meets a girl who gives him a vermillion flower in a tunnel connecting them to a world beyond. The Seven Lucky Gods (or kami, meaning both "hair" and "gods") live in the Takada’s barber shop in Tokyo—a set based on a real-life now-lost local store close to Murata’s heart—where they play charming tricks on the family of four. In the first episode in a series of films centred on The Great East Japan Earthquake, an amnesiac wolf traces his past and escapes from hunters who are after him in an eerily beautiful moonscape. The island repeats volcanic eruption after earthquake, smoke and glowing heat bubbling from the morphing surface—but when the tectonic activity recedes, all is sand and, finally, the miracle of water flowing, of life. Twins are separated by the destructive earthquake and tsunami that ravaged Japan's Tohoku region in 2011, but with a swirling snow globe, they traverse the present and the past, the living and the dead: reconciling, remembering, and restoring. Takahata and Miyazaki, were steadfastly committed to their philosophy of “carefully depicting characters and their everyday life and giving them a reality that is different from live action films.” For them, this was the crucial to winning over the hearts of their film audiences. During the process of film production, this meant the careful selection of particular scenery to represent reality, the use of lighting to depict time and weather, and the precise selection of colour to express minute details such as texture. 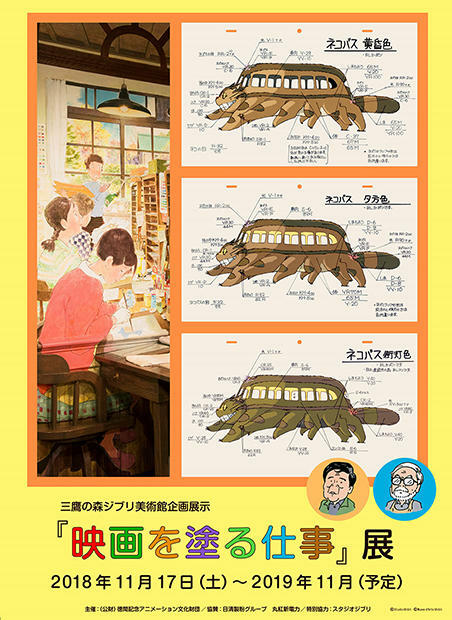 This exhibition aims to demonstrate the commitment to expression using colour by Takahata and Miyazaki. It showcases original cel drawings painted by the late colour designer Michiyo Yasuda (保田 道世, 1939-2016). Yasuda began working with Takahata and Miyazaki when they were at Toei Animation on projects such as Hols: Prince of the Sun (太陽の王子 ホルスの大冒険, 1968) and The Wonderful World of Puss 'n Boots (長靴をはいた猫, 1969) and followed them to Topcraft for the making of Nausicaä of the Valley of the Wind (風の谷のナウシカ, 1984). 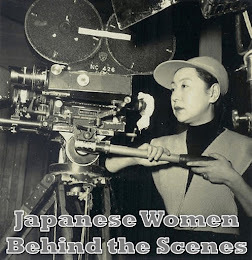 She then stayed on during the formation of Studio Ghibli and where she worked dedicatedly until her official retirement after the release of Ponyo (崖の上のポニョ, 2008). Despite her retirement, she was coaxed into working on Miyazaki’s The Wind Rises (風立ちぬ, 2013). 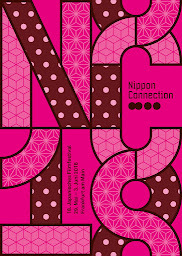 Sponsors: Nisshin Seifun Group, Marubeni Electricity Inc. This text has been adapted from the official press release of the Museo d’Arte Ghibli. Hideki Inaba (稲葉 秀樹, b. 1988)’s Slowly Rising came to my attention because the film was part of the Jury Selection at the Japanese Media Arts Festival 2017. 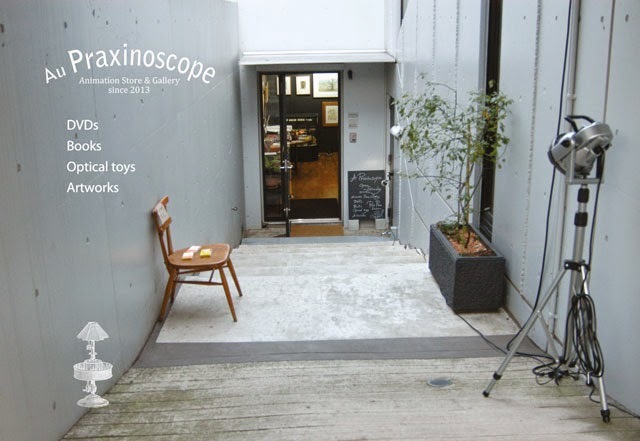 Inaba is originally from Ibaraki Prefecture but is now based in Tokyo where he works as a freelance video artist. He has had a lot of success in the past couple of years, participating as part of the filmmaking team that did the animated special effects for the Red Hot Chili Peppers’ Getaway Tour and having his work featured at many international festivals and online media platforms. Slowly Rising from kanahebi on Vimeo. Slowly Rising is a music video for the Dutch artist formerly known as BEATSOFREEN, now using the moniker Stan Forebee (Beatsofreen is an anagram of this name). Forebee is based in Melbourne, Australia. He describes himself as a beatmaker and multi-instrumentalist who grew up immersed in jazz and classical music in a musical family in the Netherlands. In March, he released his debut jazz album Jazz Sessions and he promises another album in the near future. On the Japanese Media Arts Festival Website, Inaba describes the music video thusly: “Under the sun that is the source of life, a single seed is born. Seeking light, the seed forms a group that gradually increases in numbers, then dies off. Another seed then grows in its place. The creator brings a cel animation touch to a story that overlays human relations in the corporate world with the rise and fall of living organisms.” (source). The film begins as simply as the music, with plant-like fronds waving against a starlit, other-worldly galaxy. As the music becomes more layered, the variety of imaginary organic creatures multiplies – some resemble plants, others pulsing sea creatures, and still others flying insects. They fill the screen like a colourful, ever-changing kaleidoscope. The result is a hypnotic video as entrancing as the music itself.